Boasting 500 million users worldwide and still growing, Facebook is now ubiquitous. Because of its popularity, minors have jumped onto the social media bandwagon, too, and they use networking the same way adults do–to share pictures, connect with friends, organize events, and play social games. And that can be a problem. For the most part, Facebook provides a fun and safe way for users of all ages to communicate with their pals. But because kids and teens are, well, kids and teens, they’re the ones most at risk of falling victim to the dangers of Facebook. 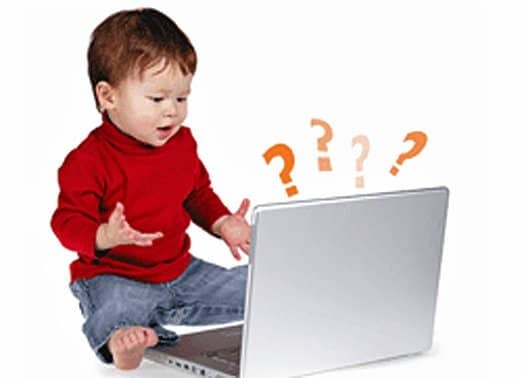 With a bit of strategic parental guidance, you can educate your kids about the potential hazards of social media and give them the tools they need to protect themselves from online predators, guard their personal information, preserve their online reputation, and avoid suspicious downloads that could harm your PC. An iStrategyLabs study documents the growth rates of Facebook profiles in the United States based on age, gender, location, education level, and interests. The study shows that from January 2009 to January 2010, the 13-to-17-year-old age group grew about 88 percent in the U.S., jumping from about 5.7 million teenage Facebook users to almost 10.7 million. Those figures, of course, don’t include minors who lied about their age upon creating their profile. The “Everyone” setting is not quite as open for minors as it is for adults. If a minor’s privacy settings are set to “Everyone,” that includes only friends, friends of friends, and people within the child’s verified school or work network. However, the “Everyone” setting still allows adults to search for minors by name and send them friend requests (and vice versa), unless the account owner manually changes that. Also, only people within a minor’s “Friends of Friends” network can message them. As for the teens who lie about how old they are, Facebook does have a way of verifying age. If, for instance, a 19-year-old is mostly friends with 13- and 14-year-olds, and they seem to be taking lots of photos together, then Facebook might suspect that the user is actually 12 or 13–and then it may flag the user’s page for removal or give the user a warning. Facebook public-policy representative Nicky Jackson Colaco advises parents to sit down with their kids and talk about the importance of protecting one’s online identity. Maintaining open communication with your children is the key to understanding exactly how they’re using Facebook. If you have a Facebook profile, consider sending your child a friend request–not necessarily as a spying tool, but to remind your child of your own online presence. If you don’t have a Facebook account, ask your child to show you their profile. It helps to familiarize yourself as much as possible with the site’s privacy controls and other settings, because the more you know about Facebook, the better equipped you can be if something serious ever arises. It’s also a good idea to take a look at your child’s photos and wall posts to make sure they are age appropriate. Remind your child that the Internet in general, but especially Facebook, is not a kids-only zone, and that adults can see what’s on their profile as well. Maintaining an appropriate online presence as a teenager will help your child build a respectable online footprint. Remember: The Internet never forgets. If your kid really has something to hide, they might make a Facebook profile behind your back, or have one account that’s parent-friendly and a separate account for their friends. If they show you a profile that seems skimpy on content, that could be a red flag. That’s where PC and Web-monitoring tools could come into play (see the “Monitoring Behavior” section on the next page). Finally, go over Facebook’s privacy settings with your child, and show them how to activate the highest level of security. Emphasize that Facebook is a place for friends and not strangers, and then change their profile to “friends only.” Again, remind your child to be wary of what they post in their status updates, since oversharing online can lead to consequences in the real world. “As the site gets bigger, it’s important to have everyone working together–us, parents, kids, our safety advisory board–to make sure the site remains a safe place,” Colaco says.